Umpteen studies have been conducted over recent years which all say the same thing; the nation is devoid of sleep. It’s something that most of us take completely for granted and subsequently feel the effects as we embark on our day-to-day lives. However, in some situations a lack of sleep can just become too much. 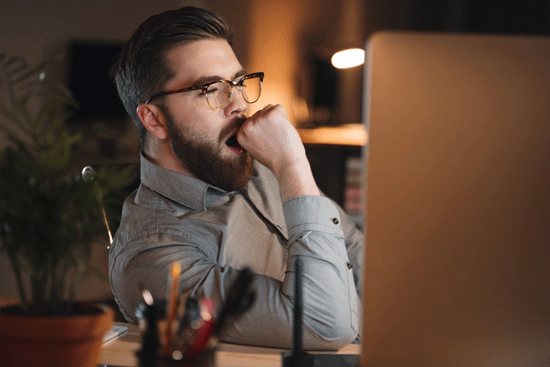 This is the reason we have put this guide together, as we look at what you should do to stop feeling sleepy at night, at work and during the day. In other words, there’s something for all of you. For most of us, this is a problem we don’t have to deal with. However, whether it’s due to work or family reasons, some of us need to avoid sleep at night. It might be due to skipping a night’s sleep, or perhaps because of a change in shift. Regardless, it happens. Bearing this in mind, we will now take a look at some of the best ways to reduce the chances of feeling sleepy when night comes. To make life easier, we’ve split this into some short-term tricks to make an immediate impact, followed by some longer-term ones. If you need that quick boost of energy for the night ahead, it’s time to read on. The types of changes you can make vary from everything from the environment you’re in, to the food you’re taking in. 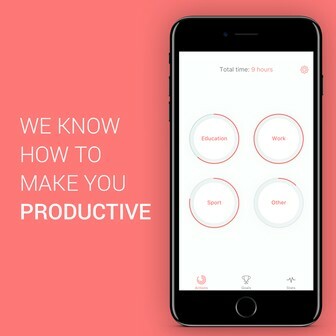 Starting with the environment, if you’re busy studying on a couch or a bed, it goes without saying that the feeling of tiredness is going to hit you as a matter of urgency. In other words, you’re simply too comfortable. Move to a location where you are less likely to fall asleep, with a coffee shop being one of the ideal solutions. In terms to your food, one of the best types you can opt for is omega 3’s. These have been found to provide a waking up sensation, and can be found in the likes of salmon. For those of you who aren’t overly keen on fish, there are omega-3 supplements that can help you as well. Other types of food you should turn to include fiber. The beauty about this food type is that it takes an age to digest, meaning that they will slowly release into your bloodstream through the course of the day. In terms of examples, black beans and an apple without skin are some of the most common. There are some quick tips you can implement as well. Throwing a splash of cold water onto your face isn’t a gimmick, it’s something that can boost your circulation no-end and just give you that extra push. Other tips include listening to music (which is scientifically proven to help), as well as taking a powernap. A 20 minute nap can be just what the doctor ordered in these cases – although any longer and you run the risk of dropping into a deep sleep which is going to be nigh-on-impossible to come out of. These next tricks aren’t going to have the immediate impact that some of the others have, but over time they can make the difference if you can incorporate them into your lifestyle. Additionally, they really aren’t going to impact your life significantly. For example, one suggestion is to simply drink more water. Most of the time, tiredness is caused by this, so simply adding more to your diet can give you the required pick-me-up in no time. Other suggestions also relate to your diet as well. They say that breakfast is the most important meal of the day, and this really isn’t an exaggeration. It’s the meal that can supercharge your metabolism and provide you with that elusive energy. At the same time, eating regularly can keep your blood sugar levels in tip-top condition and again keep you wide awake. As well as your diet, exercise comes into play as well. While some people might believe that exercise will make them more tired, it actually has the opposite effect. It will get your blood circulating, as well as boosting you with the necessary hormones to really make you feel more awake. It’s one of the worst feelings in the world. 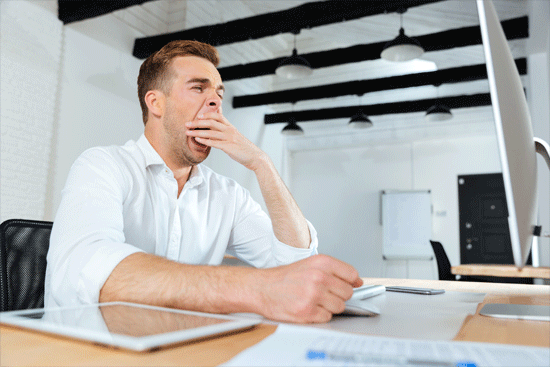 Regardless of the type of job you are employed within, the feeling of sleepiness is something that needs to be avoided at all costs. If you are working on your feet, the effect on your body can be destroying. If you’re behind a desk, the only thing you want to do is rest your head. Fortunately, there are solutions. Some of these solutions can come in the form of the “instant hacks” which we looked at in the previous section, but others can be of a slightly longer-term approach. Let’s take a look at some of the latter. When we talk about good sleep hygiene, we’re looking at all of the tricks of the trade which will really put your body in good working order in relation to your sleep patterns. In other words, you will have sufficient amounts to be ready for work the next morning and not suffer with any such problems. In truth, the list is endless, but let’s start with some classics. Simply cutting down the amount of caffeine you are consuming can be one of the best approaches. While it can work wonders in the morning, taken within six hours of bedtime and it is going to keep you awake into the early hours. Avoid at the wrong times. In a similar vein, smoking is something else that can wreak havoc. Nicotine has been known to keep people awake, so avoiding cigarettes is an absolute must to keep your sleep in order. If we look at a different area, your diet is something that can play around with all sorts of areas of your life and unsurprisingly, sleep is one of them. Eating a large meal before going to sleep is going to send your digestive system into overdrive. The upshot of this is that this will keep you up. The advice is therefore to avoid large meals within two hours of your bedtime. There are some modern methods that can help you along your way as well. Tuning into electronic devices is one of the worst offenders when it comes to losing out on sleep, for the simple reason that the blue light tricks your mind into staying awake. However, there are some devices that can help you along your way. Keeping a sleep schedule is paramount to good sleep hygiene, so setting up an alarm to tell you when to go to bed (as well as when to wake up) can allow you to get the right amount of sleep before you have to wake up for work. In terms of the working day itself, your lifestyle matters. There are various steps you can take to enhance the way you feel, with some being as simple as drinking enough water (for the very same reason we documented in the previous section). Others might relate to the position you sit at your desk. Your posture really matters in this case, and making sure that your shoulders are up and your body is straight is one thing that can keep you alert. Leaning over is something that can make you feel tired, and this is the very reason why yoga balls are becoming more prominent in office settings nowadays. This next suggestion might not be applicable to you all, but if you can it’s always advisable to alternate your tasks. Staying on the same task every day is asking for burn out, while changing things up will just give you that variety which can spark a little more energy. Finally, let’s take a look at those of you who might be feeling sleepy during the daytime. This might not necessarily be during your working hours, but just during any day of a given week. We’ve now put together the following tips for those of you who fall into said category. These suggestions follow on from many which we have already looked at through this guide, but are slightly more tailored for the “standard day”. We mentioned this briefly in a previous section, but let’s reiterate the benefits of exercise for those who are looking to get the most of your typical day. Particularly if you can exercise for thirty minutes a day, you will find it much easier to fall asleep but also get the required energy boosts in the immediate aftermath. There will be occasions where you do sacrifice on sleep, but it’s here where you need to make allowances with your daily schedule. It might mean moving some activities from early to late morning, or perhaps just doing the “easier” tasks in the early hours where you are feeling the effects of tiredness slightly more. By doing this, it will be far easier to function during the remainder of the day. Sleep is all about the circadian rhythm, but there are also other things that influence this. Your meal times is one of these and by sticking to the same schedule, you will help regulate it significantly.